Postural hypotension is essentially low blood pressure caused by adopting an upright posture. It is usually experienced when a person stands up quickly from a lying or seated position. Blood pools in the legs and does not return immediately to the heart, causing a drop in blood pressure, accompanied by lightheadedness. In extreme cases the drop in blood pressure can result in collapse, loss of consciousness and occasionally seizures. It is a common cause of falls and the symptoms can be very debilitating for some individuals. Why does this not occur in everyone? When most people stand up, the body acts to prevent a drop in blood pressure. It does this by constricting the blood vessels particularly in the legs, to prevent blood pooling, but also in the body to maintain blood pressure. There is often also a small increase in heart rate, to increase the output from the heart. These changes happen almost immediately, when the nerves to the heart and blood vessels are working well and responsive. 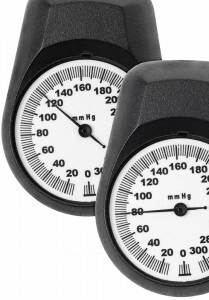 When most people stand the doctor would not document much of a decrease in blood pressure. Are some people prone to postural hypotension? In certain types of people, the nerves to the blood vessels and heart can be a little sluggish. The blood pressure drops further before the body is able to respond appropriately. This is commonly seen as people age and also in conditions that affect the nerves such as diabetes. Symptoms may be caused or worsened by medications that relax the blood vessels, or lower the blood pressure, along with periods of dehydration. In some cases disturbances of electrolytes such as sodium and calcium can underly the problem. Postural hypotension is diagnosed by accurate measurement of the blood pressure, when lying and then standing. When done properly, this should document a significant drop in pressure, although the drop may be very transient and can be missed. Technique is extremely important and the blood pressure should be measured with arms by your side when lying, then held up horizontally when standing, or the results will be inaccurate. Some of the electronic devices take too much time to perform the blood pressure and it is best measured using a traditional blood pressure cuff. What should be done if I suffer with postural hypotension? The decisions depend upon the underlying cause, but will often include blood tests to check levels of your electrolytes including sodium. There should be a detailed review of your current medications to weigh up whether they are contributing. In some cases it may be wise to discontinue a medication, after discussion with your doctor and in other cases the benefits of the medication may warrant continuing. It will depend on how disabling your symptoms are. The doctor should review your dietary habit and fluid intake, to identify causes of dehydration. Where these measures do not resolve your problems, then compression stocking can be helpful, preventing excess pooling of blood in the legs and minimising the drop in blood pressure. A small proportion of people benefit from medical management with Fludrocortisone or Midodrine although benefits are variable.